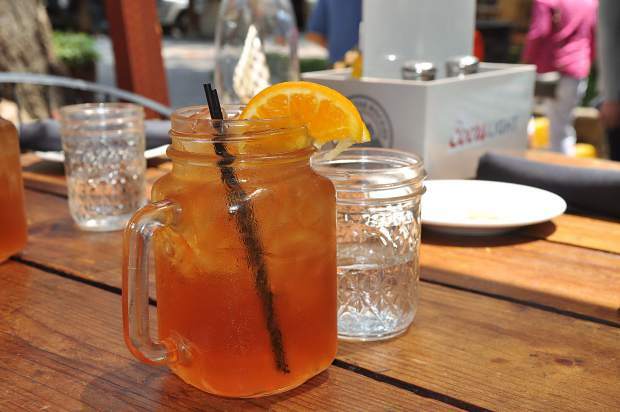 This week’s drink puts a little south in your mouth: Austin’s Bourbon Sweet Tea. The bourbon hits you with a roundhouse kick out of the gate. Not Chuck Norris roundhouse, more like Daniel LaRusso. You can feel it, but it won’t kill you. The sweet tea middle is every bit as you would want it to be, both clean and refreshing. A sweet lemon-orange finish puts the cap on this dandy of a drink. If the weather is hot outside and you’re looking for something that feels like home, can quench your thirst, and put the drawl in y’all, this one hits the trifecta. I recommend it on the patio in the summer sun where it can be enjoyed sans that southern humidity. Austin’s Restaurant is located at 120 Country Club Drive, #24 in Incline Village, Nevada. Learn more at austinstahoe.com/.